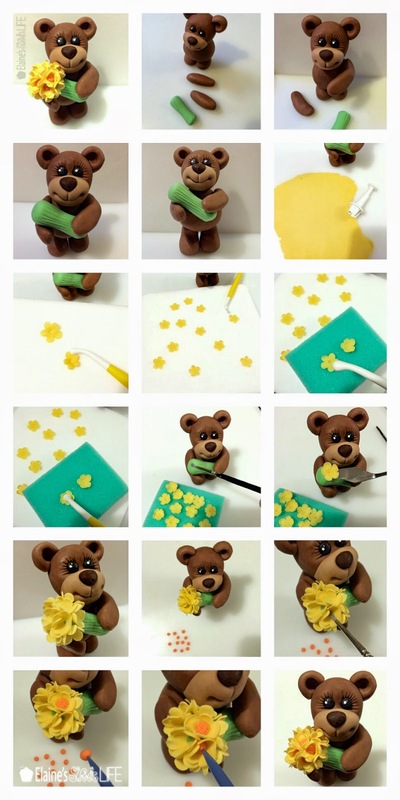 With Mother's Day fast approaching, I thought I'd make a tutorial for a Mother's Day appropriate cake topper. 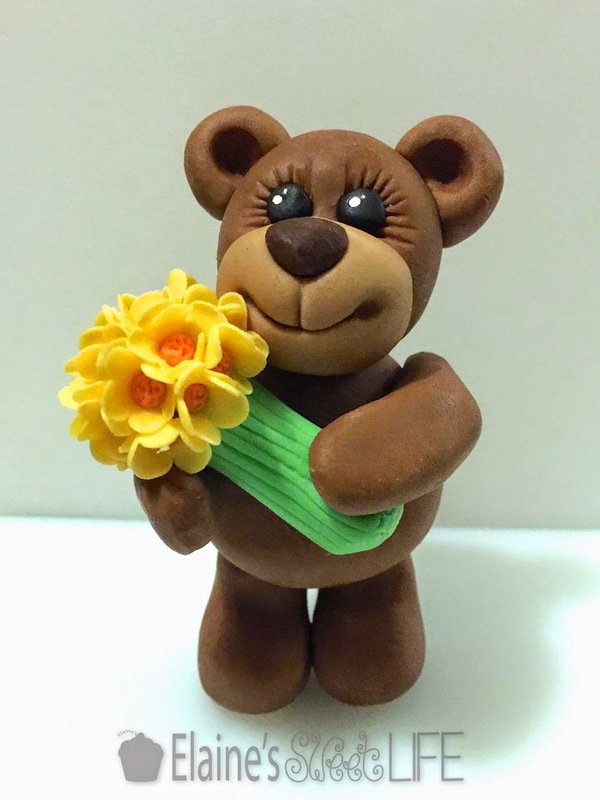 Meet Theo, a charming little Teddy with a big bunch of flowers for his amazing Mum. 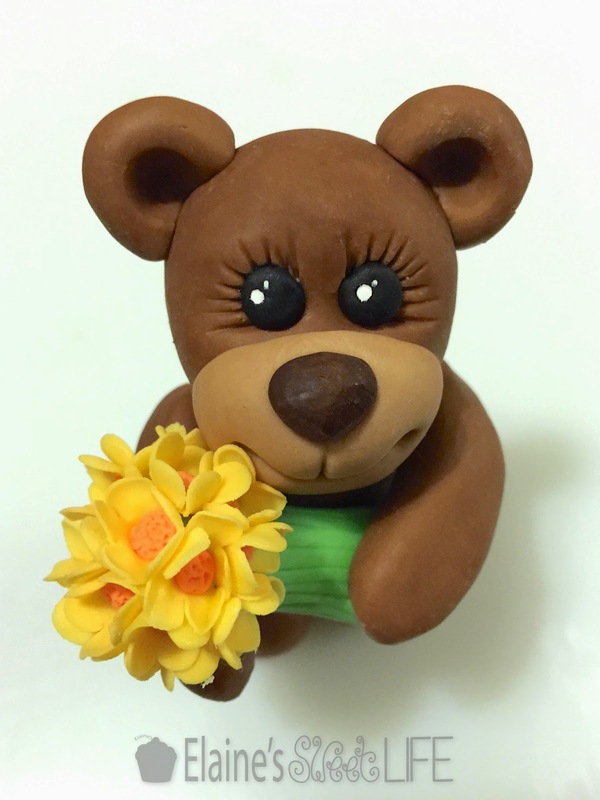 This little guy is made of modelling chocolate - his body is made with milk chocolate, and I mixed in a bit of white modelling chocolate for his muzzle. His nose is dark chocolate. 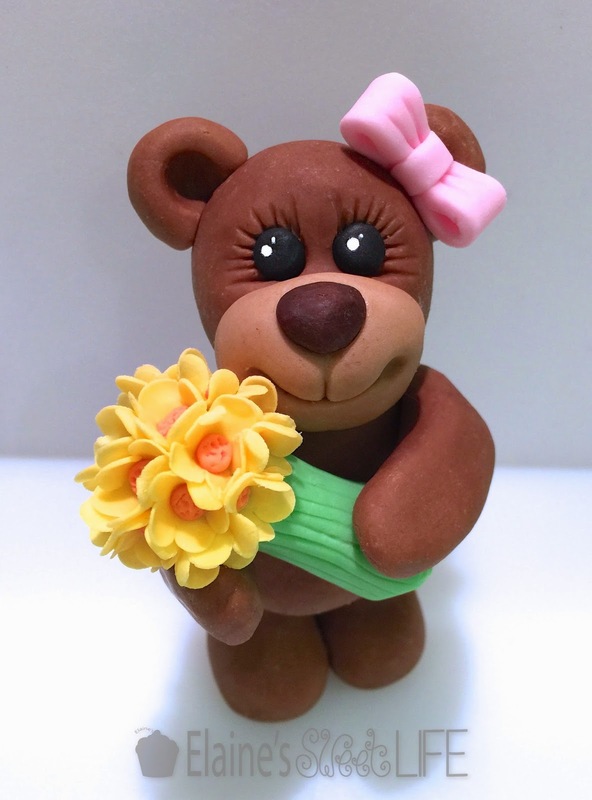 The eyes and flowers are made of gum paste. 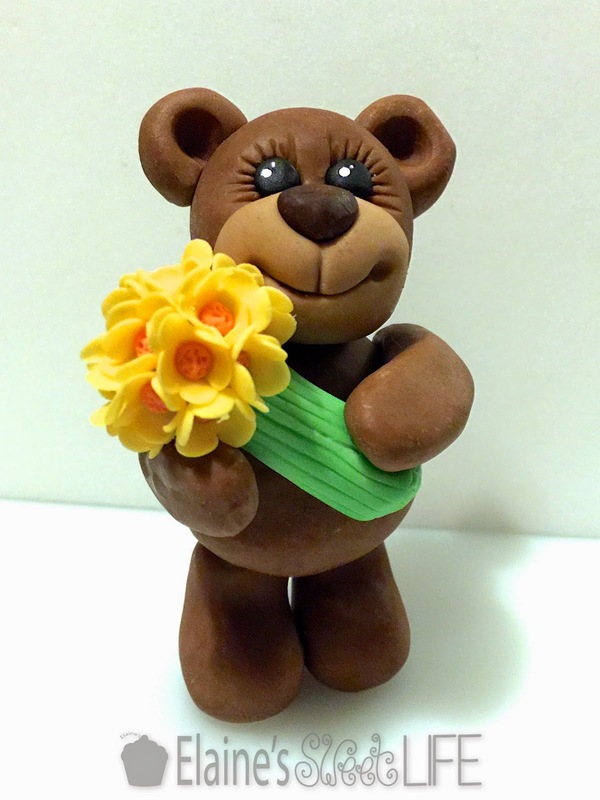 If you would prefer a Thea, the addition of a pretty little gum paste bow makes it a little Teddy girl. I have tried to include as much detail as possible in this photo tutorial, please just ask if anything is unclear. It is in 3 parts (3 separate images) - just click on the image to get a a larger view. One thing to note: Modelling chocolate sets really hard quite quickly, so it is not necessary to have any internal support structure inside. 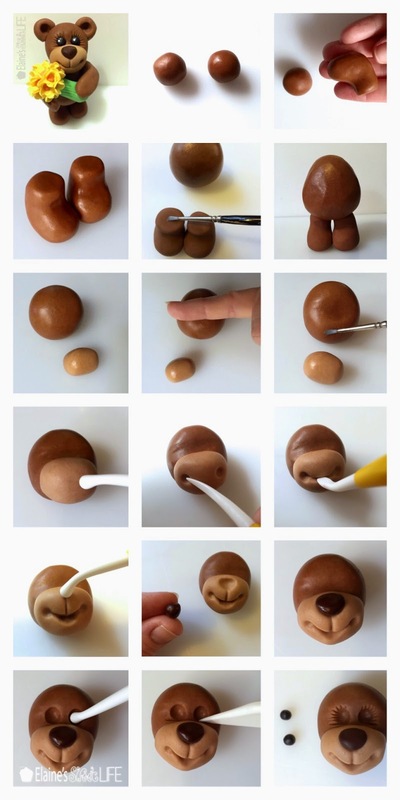 Just after working with it it is very soft though, so let the legs, body and head set for a while, until it feels solid, before assembling, or you may find that they deform. If you find that the legs and head don't stick well to the body, you can use uncooked spaghetti to strengthen the join. 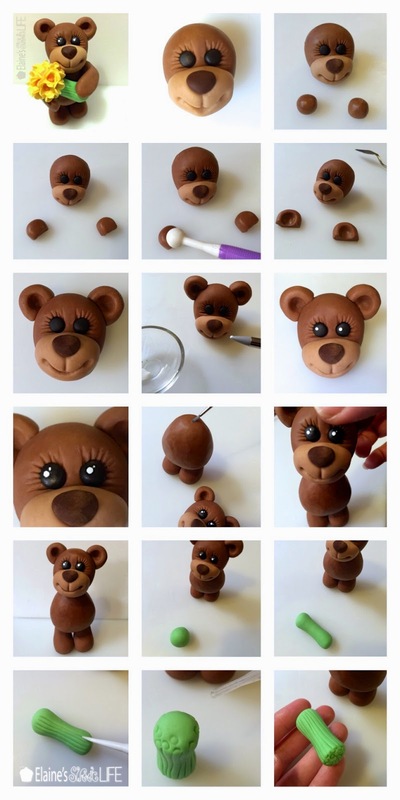 I do find the edible glue strong enough, but I usually leave the figurine overnight to set, before handing.